Valerie received a Bachelors of Arts in Human Biology and Bachelor of Science in Nursing from the University of Kansas. For five years she worked in the NICU at Children’s Mercy Hospital. 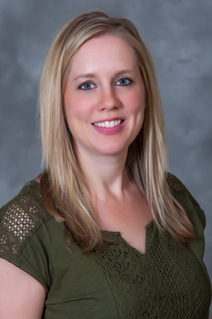 In 2011 she obtained a Master’s of Science in Nursing from UMKC and started her career in primary care pediatrics. Valerie joined our staff as a nurse practitioner in 2016. She enjoys spending time with her husband and daughter, traveling, and cooking.